These days, almost all modern appliances come with a handy remote control facility. What’s more? 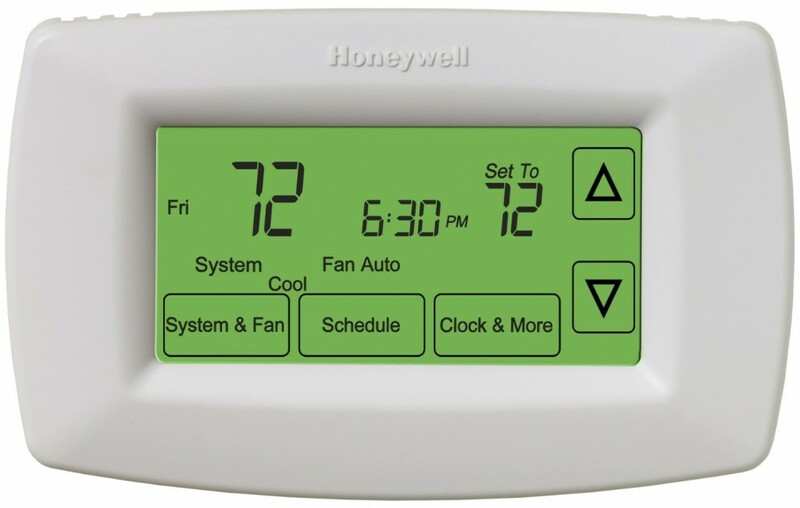 There are even Internet-connected dishwashers and television sets that gain a lot of attention; however, thermostats that you can control remotely, unquestionably, bring new conveniences and assist people in using the scheduling features of the programmable thermostats. In this article, we review the 4 best programmable thermostat with remote control. We have selected these 4 based on features and price. The first 2 thermostat with remote control from Nest and Honeywell (Wi Fi enabled) are the best in terms of features. The other 2 models from Honeywell are selected for its affordable pricing. You may read the detailed review of 4 remote control thermostats to make your buying choice. Well, what are the popular thermostats that work with a remote controlled operation? Let us have a look at what each one has in store for you. This Nest model keeps your home cozy by remembering the temperature you are comfortable in and automatically switches to an energy-efficient setting as soon as you are away. The Wi-Fi connectivity allows you to make adjustments from any internet-connected mobile phone, tablet or laptop; thus, you can control the thermostat while you are away from home as well. The device is compatible with a majority of 24V heating and cooling systems. The unique Auto Schedule learns that temperatures you like the most and creates a personalized scheduled for your home. The Auto-Away feature automatically switches to an energy-efficient temperature when you are not at home. The Nest Leaf notifies you whenever you adjust the temperature; this helps in saving energy. The Energy History and Reports sent to your desired device every month as per scheduled shows how much energy you have used in total and it also provides great tips on energy conservation. Furthermore, the device is easy to install and use as well. 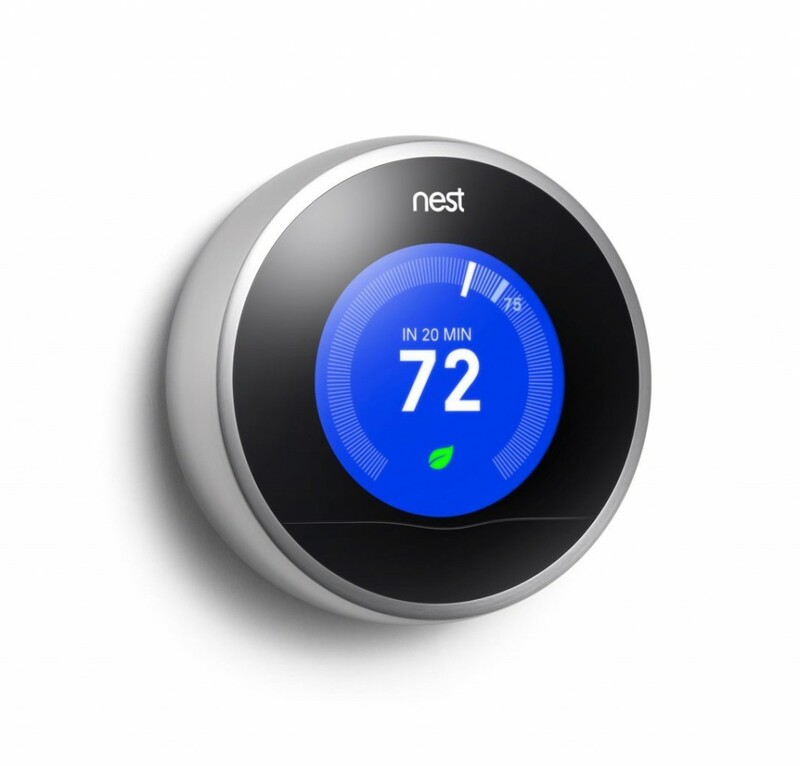 You are offered a warranty period of two years with the Nest Learning Thermostat. Cost is little high $249(variable). Information about installation, wireless control, and wiring provided in the user manual seems to be insufficient. 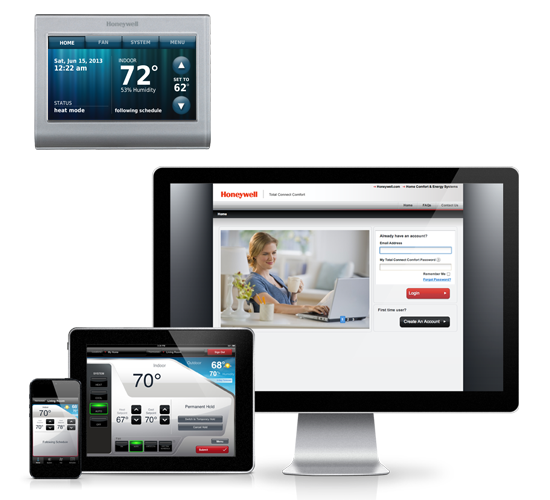 The Honeywell Wi-Fi Smart Thermostat sports Wi-Fi capability; therefore, you can have control over the temperature at your home through your mobile phone, tablet or computer. It offers a simple and secure connection to your home network. The color touch screen is an added attraction in this model that simplifies use; it can also be customized to match your preferences. You can personalize the display to match your home décor. The thermostat is compatible with most of the 24V heating and cooling systems such as forced air, hydronic heat pump, oil, gas and electric systems. 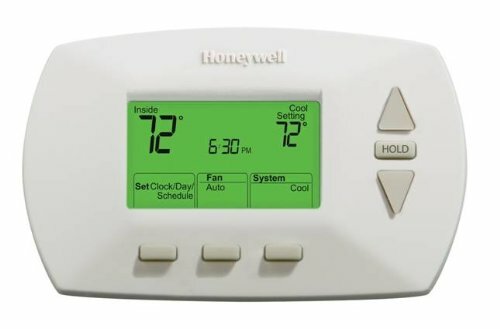 The Smart Response Technology, unique of Honeywell thermostats, learns your favorite heating and cooling cycles to ascertain maximum comfort at pre-programmed times. The advanced fan and comfort control option helps in enhancing air circulation and regulates the temperature in every part of your home. The distinct password protection and locking features helps you in preventing accidental or unauthorized changes to the device settings. In addition, the installation is also very easy. No Wi-Fi-only mode is a big plus because you can still control your thermostat manually provided there is an internet connectivity issue. The cost of the device may be of a little concern; it costs around $207. Besides, there is no battery backup. And, unfortunately, some customers have reported of poor Wi-Fi reception. Plus, the thermostat is not compatible with millivolt systems like gas fireplaces or 120V/240V systems like electric baseboard heat. It is noticed that Honeywell model is much better at temperature control with +/- degrees Fahrenheit compared to Nest’s +/- degree Fahrenheit. Also, Honeywell’s continuous display of set temperature, current temperature and humidity is something that lacks in the Nest device. However, Nest is mostly preferred among consumers who are passionate about sleeky gadgets. And, Nest offers two years warranty whereas Honeywell provides just one year limited warranty. This Wi-Fi enabled Honeywell model keeps your home comfortable by allowing you to preset custom program for each and every day with up to four program period per day to cater to your needs. The Wi-Fi capabilities enable easy remote access via compatible devices like tablets, Smartphones and laptops from anywhere. You can use the device with both single- and multi- stage systems. The back lit digital display lets you read easily and has easy controls. Besides, the thermostat is easy to install for millivolt systems. This Honeywell model comes with a one year limited warranty period. Overall, it is a great energy saver at a much less cost. One device costs just $104.68(variable), far less than most thermostats with a remote access. The Wi-Fi connection passes through a third party website and there is no charge mentioned for this service; but, the user agreement states that they can probably charge for the service in the future. If it happens, that should be a big inconvenience. This Honeywell model is designed for quick installation and easy use; besides, it is loaded with a lot of convenient features. This thermostat provides you with a programmable and customizable control over your home’s temperature without making any constant manual adjustments. The device has the ability to program itself each day in a different manner and customize the temperatures for four periods in a day. It makes it quite easy to heat or cool your rooms for maximum comfort. 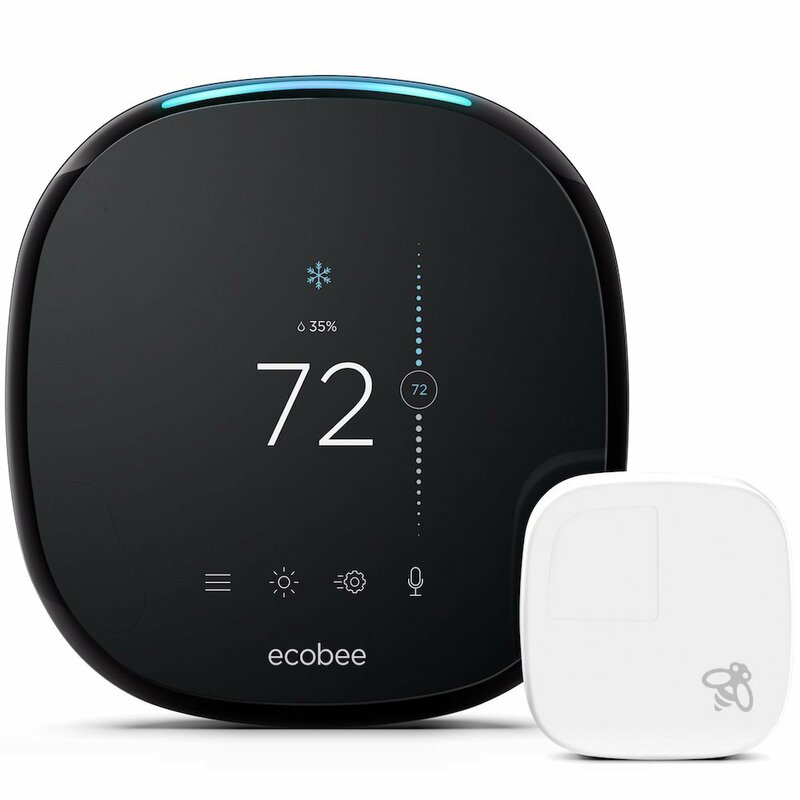 The thermostat sports Smart Response Technology as well as a feature that auto changes from heating to cooling, continually adjusting the pre-heating or cooling of your rooms for best results and accurate comfort control within one degree Fahrenheit of your favorite temperature. The simple green back lit display and the convenient touch screen option keep programming and operation simple. This thermostat offers you the ability to save up to 33% on your annual energy bills. As an added advantage, you can choose to run the device using batter power or power from your heating or cooling systems. Daylight Saving Time and Filter Change Reminder function keep your heating/cooling system functioning at its best. Furthermore, the gadget is compatible with a range of 24-volt heating and cooling systems; however, it is not compatible with electric baseboard heat. The thermostat comes with a one year limited warranty. The nominal price around $87 (will vary) makes it a definite winner. The back light feature is not that useful; either you have to turn on the room light to read or you have to press a number of buttons to turn on the back light. Besides, there is said to be a loud clicking noise the device makes when turning it on and off. If you wish to buy higher end thermostats, you can go for Nest Learning Thermostat or Honeywell Wi-Fi Smart thermostat that cost over $200. These devices offer a lot of features and you can choose between these two if your house is a very trendy one. On the other hand, if you are looking for a budget-friendly thermostat, Honeywell RTH7600D Touchscreen 7-Day Programmable Thermostat comes in handy at just $87.50.